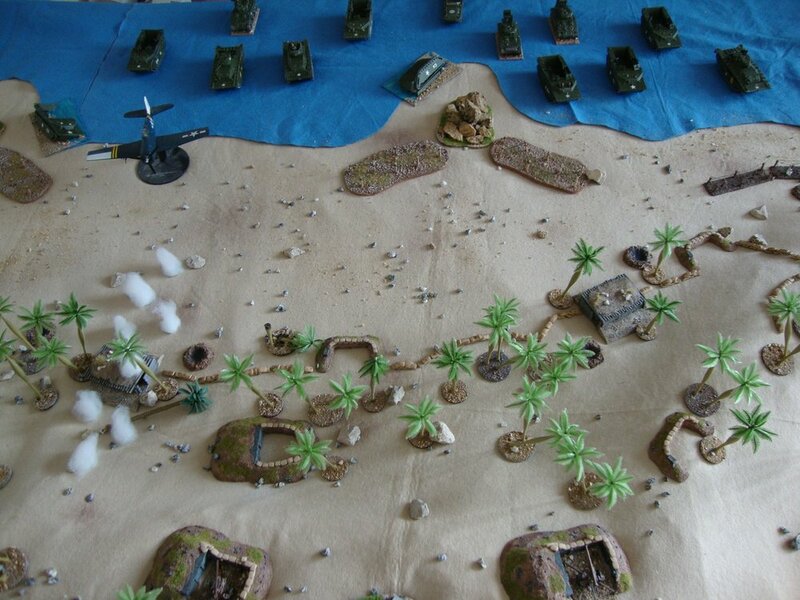 Inspired by Tim Whitworth’s upcoming Peleliu game, I thought I would share a game from the mists of time played back in 2013. The initial AAR is below, the rest of it, and the next part of the game is lost on a hard drive somewhere! I had a long think about how to handle the invasion. Obviously the defenders would be under intense bombardment prior to the invasion, so I had to allow for some impact on them. 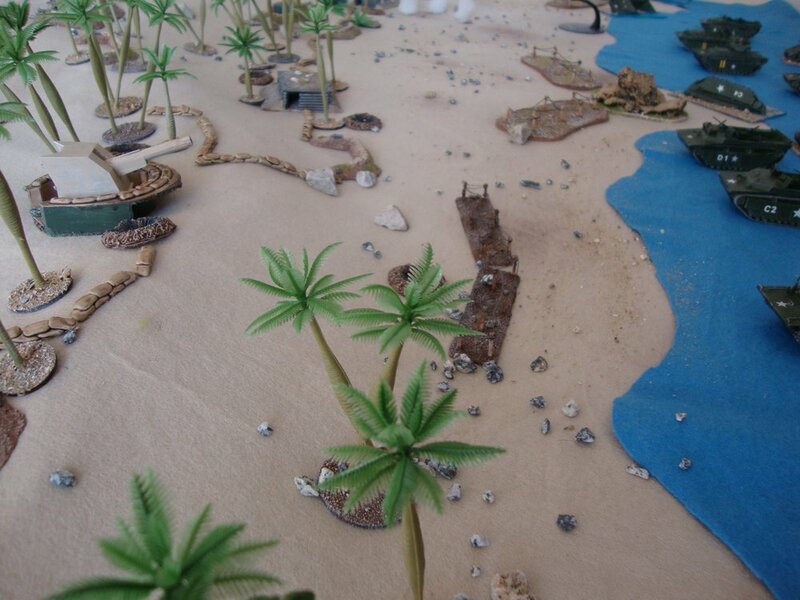 The second problem was how to reflect any losses on the attackers coming into the beach. Rather than put Blinds out at a 24-36” distance from the beach, I decided to bring the invasion start point to 12” from the beach, particularly as the table was not that big! This is where the blinds would start from. To reflect losses on the way in, the US player rolled 1D6 halved. This indicated the number of LVT’s/vehicles hit and lost on the way in. As I had an invasion force of fourteen vehicles, this seemed a reasonable amount to lose in the context of the game. I then rolled 1D6 halved for Shock on each Blind. This was to be spread out evenly on the units on each Blind. Note: I assumed the Marines were tough guys and 1D6 halved would be reasonable. Troops without such training I would roll 2D6. 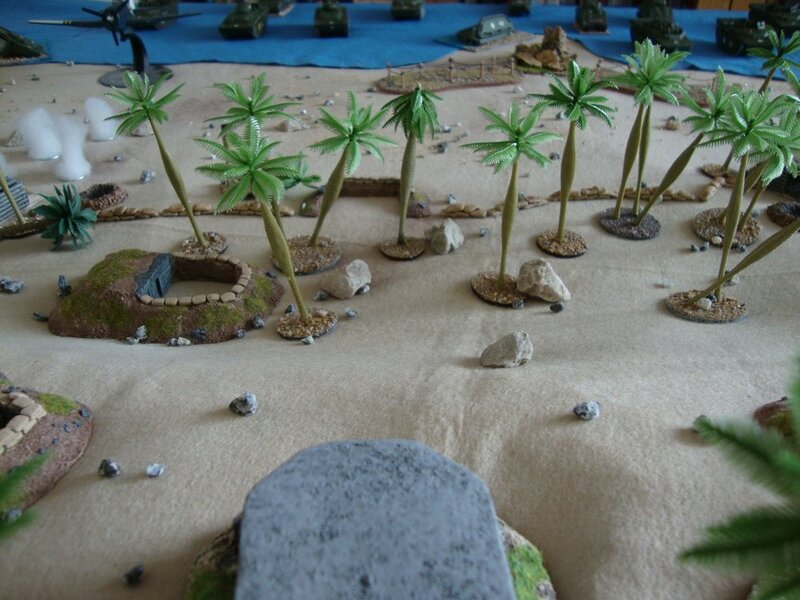 All pillboxes tested as if a tank/AFV, with any loss converted into Shock – as they were 280mm I added +2 to the die roll. A roll of a six meant the pillbox was destroyed. Initially, there were four cards: US Blinds, Japanese Blinds, US Rapid Deployment ( to give the US Blinds a potential double move) and Tea Break. All Japanese forces, unless Suppressed or Pinned were on overwatch. The first card out was Allied Blinds. 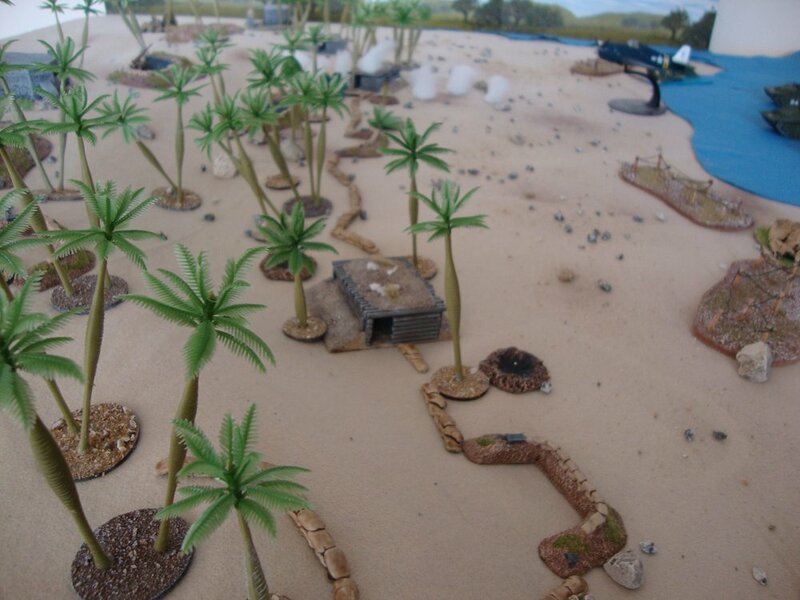 The six US Blinds approached the beach, each deciding to go full speed using four dice. Each rolled four dice, halved for moving in water, although whether this is correct is debatable as their vehicles were designed to move in water. The Japanese waited on overwatch until they had all moved. On the Tea Break card all the Japanese units attempted to spot. Three US Blinds were spotted. Note that the LVTs were difficult to spot as I deemed them low silhouette, and not a clear Spot due to smoke from the shelling. 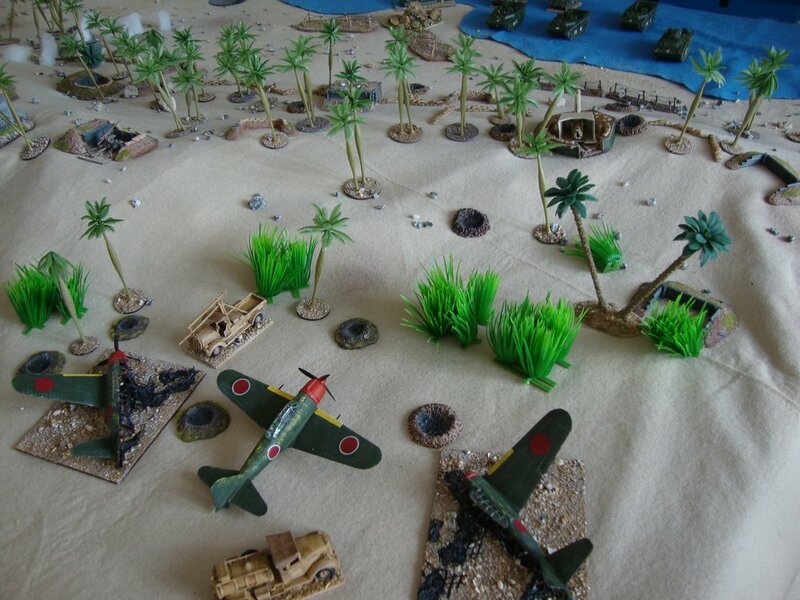 Blinds were deployed on table and the Japanese then Fired. 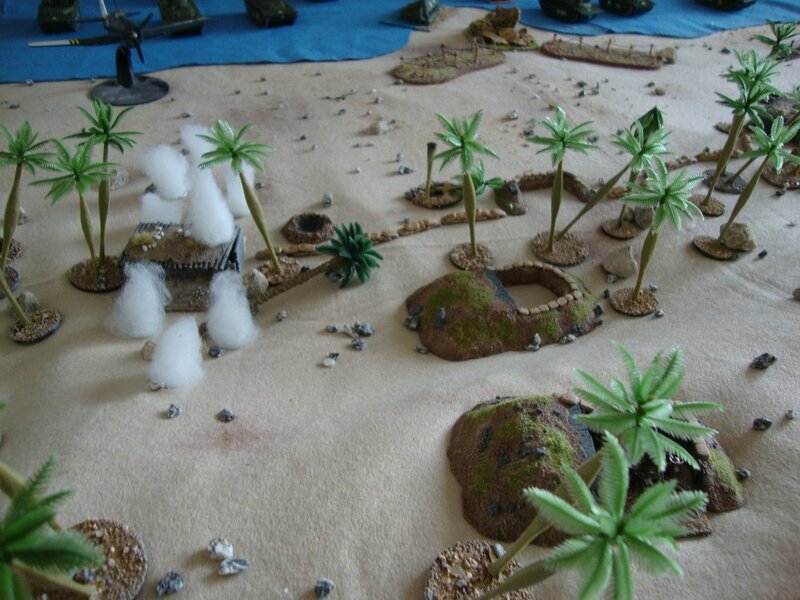 In all, the Naval gun, two anti-tank guns and two HMGs fired. Only the Naval gun hit, and achieved nine hits on the lead Buffalo, effectively blowing it to pieces! Alas, the rest of the game is consigned to digital oblivion! Time to revist and upgrade the terrain!